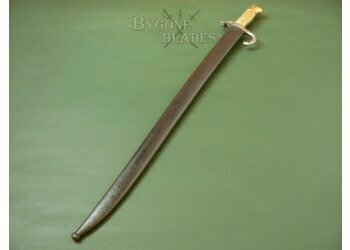 German Made, M1866 Chassepot Bayonet. The Knight's head stamp on the ricasso show that it was made in Germany by Kirschbaum & Bremshey. There are no French inspection poincon or issue stamps but there is an issue number. 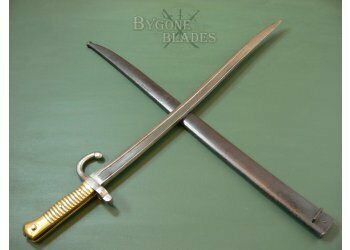 Kirschbaum & Bremshey made the M1866 Chassepot rifle bayonet for numerous destinations throughout Europe and the rest of the world. 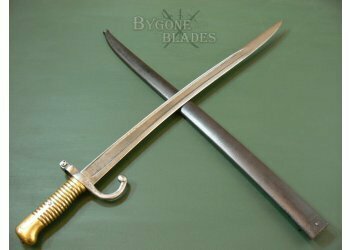 The 57.5 cm yataghan blade is in very good condition with only mild age related tarnish. 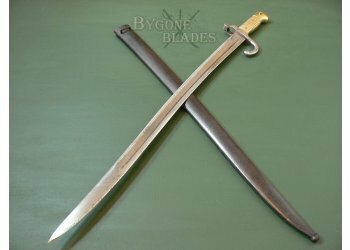 The steel crosspiece is stamped with just two numbers, a one and a seven, which make it very hard to identify in which country the bayonet was used. 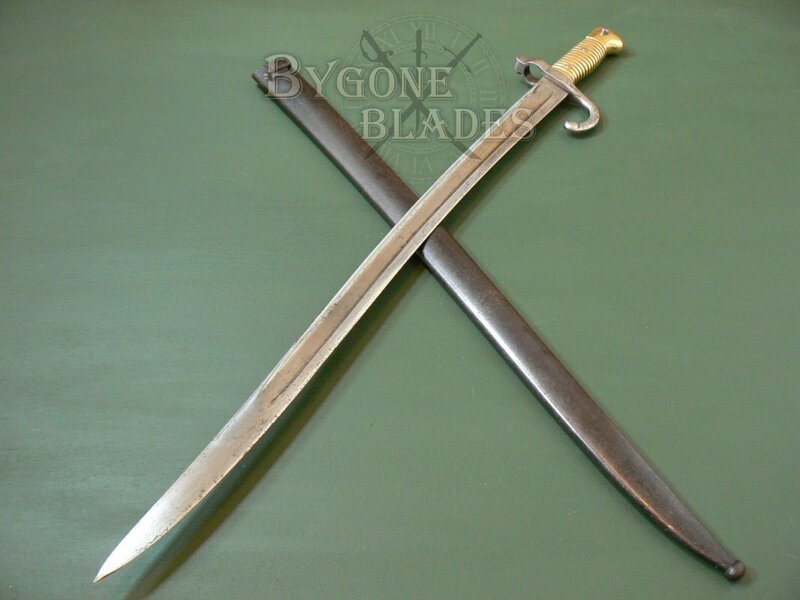 The blade-breaker quillon is unmarked. The ribbed brass handle is sound and the spring mechanism works well. 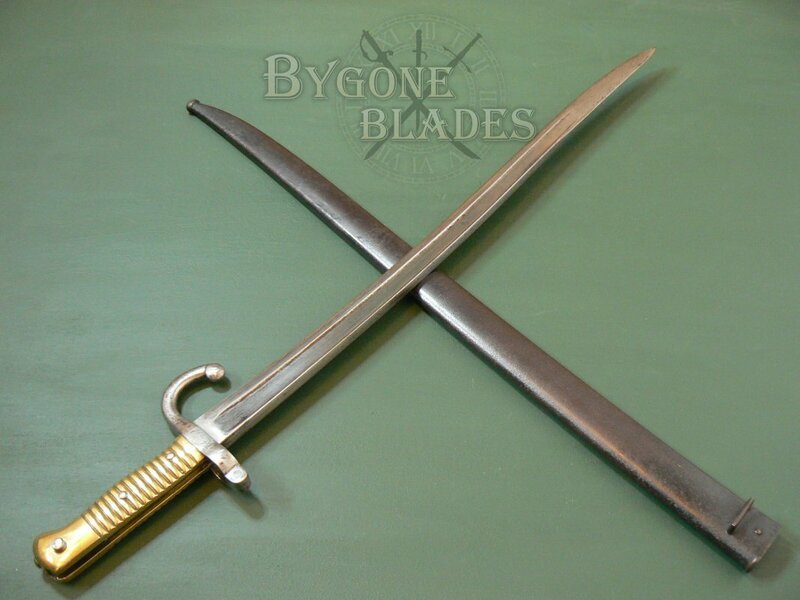 The rolled steel scabbard is in excellent condition without dents or damage. 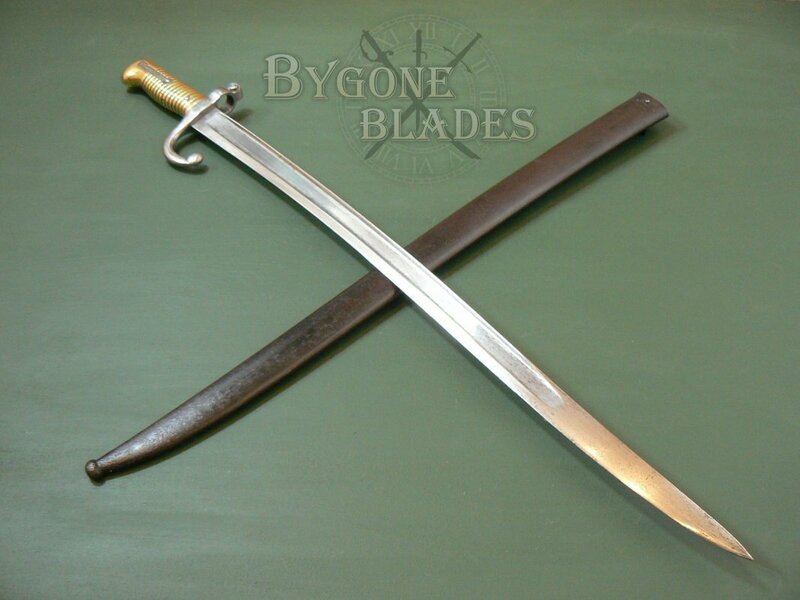 The throat of the scabbard is stamped with "G 86667. 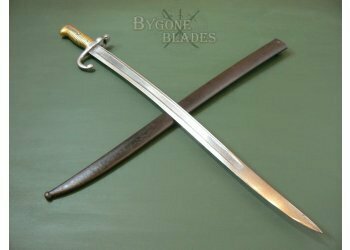 "� The blade is held firmly in the scabbard. 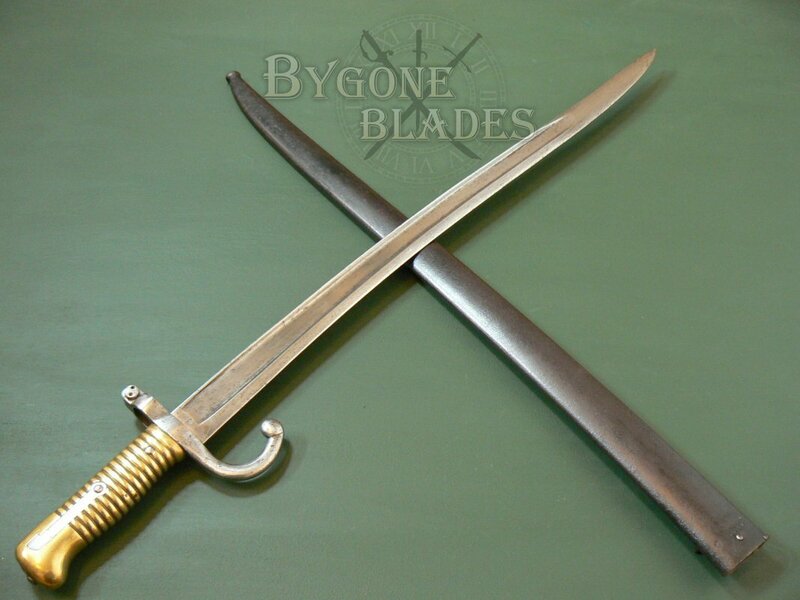 This is a very fine example of the famous yataghan bayonet.